Kund Malir is a place situated in Baluchistan having clean desert beach and historical Nani Mandir is an excellent place for tourists. In recent years this place has become popular since the beaches in Karachi have become polluted therefore travel enthusiasts have found this place worthy to visit and enjoy the natural beauty. 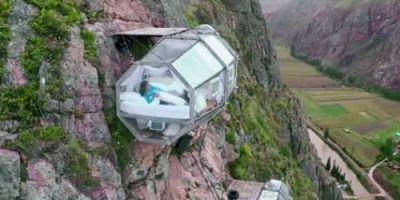 Many traveling agencies are planning trips to this place from Karachi since the traveling hours from Karachi is around three to four hours. 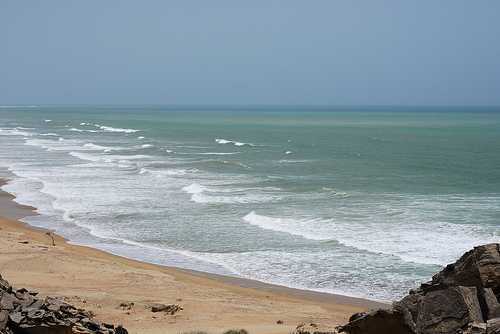 To let the people experience this beautiful place of Baluchistan, some of the tour operators organize the trip of Kund Malir Beach and Nani Mandir for all those people who want to explore the gifts of nature. 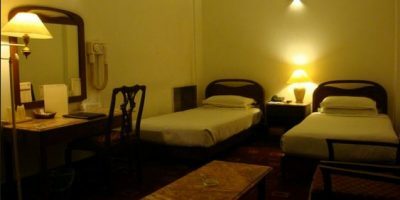 Normally the departure from Karachi city is at night in order to reach there early in the morning. After reaching early in the morning at Kind Beach Malir, people can enjoy the sea side and experience the clean and shining water. Then after some hours spending on the beach, tour operators took the tourists to the Princess of Hope, through Buzi Pass. 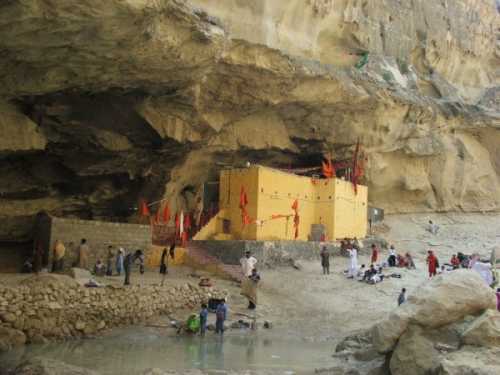 After experiencing the beauty of Princess of Hope, located at Hingol National Park, tourist travel to experience Nani Mandir and spent some time there to see the traditions and culture. After visiting all the beautiful and natural places of Kund Malir and Nani Mandir, the tour ends while returning back to Karachi next day from the department at night. The whole journey provides a wonderful and non-forgettable experience to the tourists where they can see the mountains, deserts and many other gifts of nature. Around 400 kilometers of one side journey never let the tourists getting tired because of stunning scenes. During this trip, people can experience largest national park in Pakistan, Hingol National Park, have covering area of 1650 square kilometers. 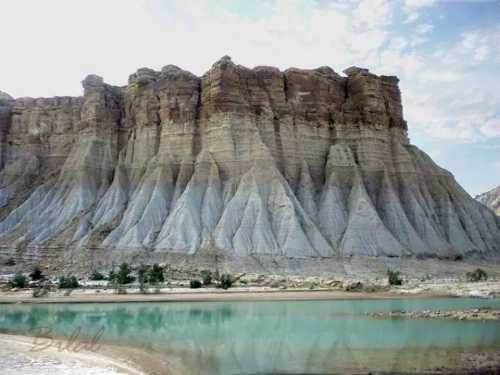 Here you can experience beautiful rock formation, Princess of Hope, Hingol mud volcano, hundreds of birds, fished and other species which will definitely provide attraction. Hingol National Park also have a river which consists of hundreds of fishes and other sea creatures. Nani Mandir, which have several names also including Hinglaj Devi and Hingula Devi, is a Hindu temple in a town on the Makran, Lasbela. It is located on the banks of Hingol River, in a mountain cavern. You can experience the traditions and culture of Hindus there with the caves, sculptures and many other attractions. Nani Mandir is also popular for the four day pilgrimage of a Hindu religion which is organized annually. 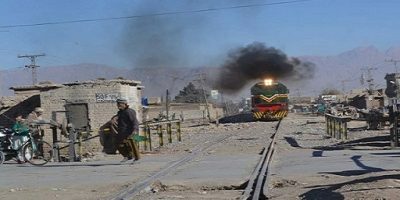 While thinking about a tour in Baluchistan, most of the people have questions in their mind about the security arrangements there and during the travelling. But don’t worry at all, the security forces have made satisfactory arrangements on the Coastal highway, Kund Malir and Nani Mandir. There are many check posts there where security forces checked all the travelers and make sure that no security laps could happened. Local people at all the places are very co-operative and provide the hospitality to the tourists as much as they can. If you are planning this trip at your own instead of any tour operator, it is better to organize a trip on holidays instead of week days because normally there is lots of traffic on the Coastal Highway and other places in the week days. Always take food and other necessary goods with you because you will not find any shop of market from which you can buy required stuff. It is better to travel in a group with at least 8 people in order to have a safe side at your end. If you want to make any necessary call, do it before Zero point because after this, you will not get the mobile signals. Join us on A Fantastic Road Trip as we Travel to Hingol National Park, one of the Most Beautiful Places to be found in Balochistan, containing the World Famous Mud Volcanoes, The Breathtakingly Beautiful Kund Malir Beach, Princess of Hope, Natural Sphinx and Nani Mandir. • Member must behave ethically with his/her fellow group members, otherwise Wanderlust Adventures can cancel his/her trip at any time. • Wanderlust Adventures is not responsible for personal injuries and accidents. • Wanderlust Adventures is not responsible for loss of any kind of valuable item. • Wanderlust Adventures can cancel booking at any time. • Wanderlust Adventures can change terms and conditions at any time without prior notice. jub subha 06:00 am per departure hay to 09:00 am per yaani 3 hrs. main Mud volcanos kaisay phuncho gay? 250 km. k leay 5 hrs. lagain gay. Sir, Any Tour for Kund Malir????????? ?